Wilco, thank you for the great review. Did you have reservations in January for your stay and when did you make a reservation? The reason I ask is we were hoping to stay there early April. We called Navy booking and they are showing no availability. 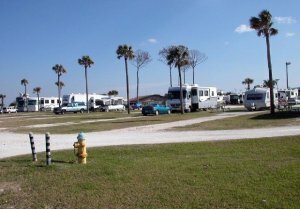 For the heck of it we tried the online Navy booking and it shows this campground ( and many other Navy campgrounds in FL and GA) as booked for ANY dates we put in, even mid summer.Wondering if there is an issue with booking Navy campgrounds. Finding it hard to believe that all the campgrounds we are looking at are booked for every date we try. Thanks for any help you may have.